Irritable bowel syndrome (IBS) is a long-term disorder that affects the large intestine or colon. While there is no cure for IBS, treatments can ease symptoms and help your child get back to normal daily function. An IBS diagnosis usually means that a child feels chronic abdominal discomfort with bowel movements (once per week for at least two months) and those symptoms are unrelated to another disease or injury. To rule out other causes, your pediatrician will review your child’s health history, conduct a physical exam and if necessary, order lab tests. “Based on your child’s age and condition, treatment may include dietary changes, stress management, over-the-counter medicines to help with diarrhea or constipation, and in severe cases, prescription medication,” says Dr. Vahabnezhad. To determine your child’s condition and treatment needs, talk to your doctor. 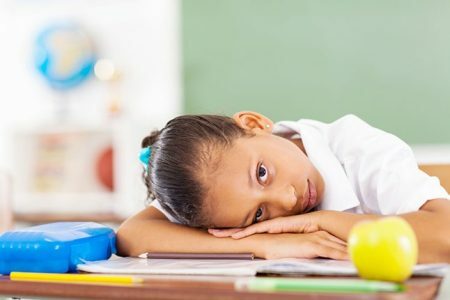 “Children with IBS are in no serious physical danger,” Dr. Vahabnezhad says, “but the symptoms can affect your child’s ability to engage in daily activities and cause emotional challenges.” When at school, for example, children with diarrhea may not get to the bathroom in time and face embarrassing incidents. As a result, they may dread going to school or stop playing with friends. In addition, some children may start eating less to avoid pain with digestion; this may lead to weight loss. If your child is struggling with IBS, talk with their doctor about ways to manage their symptoms and restore normal daily function. While the cited IBS cause “hypersensitive colon” is essentially tautological the curious hypothesis “imbalance in the digestive system’s nerves” is problematic. What exactly happens when a nerve is “imbalanced”? For that matter, how does one “re-balance” nerves, presuming one is referring to nerve action potentials not spatial or structural component juxtapositions?